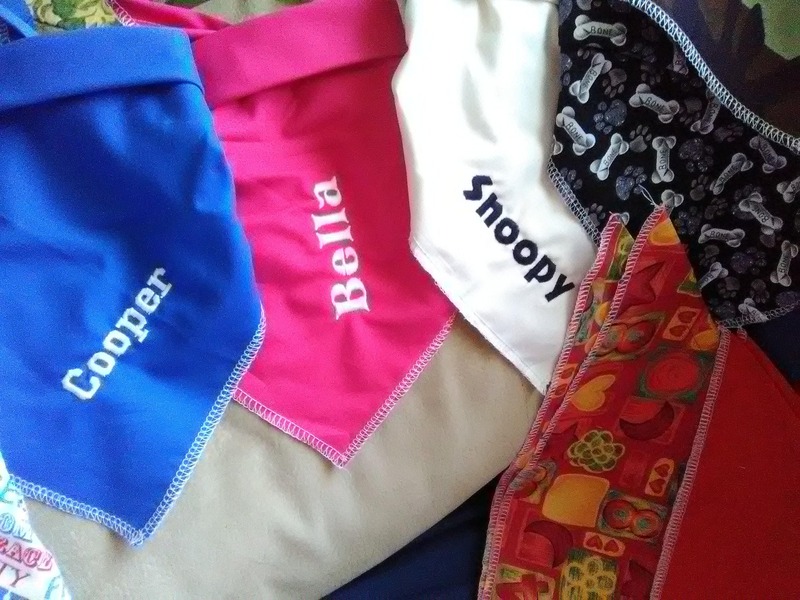 These bandanas will add the finishing touch to your already beautiful puppy....complete with his or her name custom embroidered on it. Bandanas are hand crafted and made out of cotton and are machine washable and can be put in the drier. They are available in Blue, Pink or Cream with Black lettering. They come in two sizes - size small for up to a 25" neck or large for up to 30" neck. Please indicate size Small or Large, color choice and your Pet's name to be embroidered. Feel free to call with any questions - 941-830-2338.